Staff were great help. Girls at reception and over the phone were absolutely brilliant. We came to Salou for Rally Espana ,near to service park ( PORT Aventura) Very good positioning near to beach and centre , very kind and helpfull staff. The apartment was in a great location, very close to the beach, restaurants & bars and also to Portaventura. Very important of an apartment are the provision of a fridge, cooking facilities, crockery and cutlery, all of which were in good working order and very clean. The staff were very friendly and helpful. Good value for money. Great location and decent facilities for the price paid. All the staff were great but would like to give a particular mention to Christine who was fantastic and made us feel very welcome! For the price, could not complain- good shower, a fridge a d a microwave in the room. Parking was convenient though not free. Room, basic but no problem, would stay here again. Salou Pacific has a scenic location, just 650 feet from Salou Beach. This complex features an outdoor swimming pool with a terrace, and apartments with balconies. 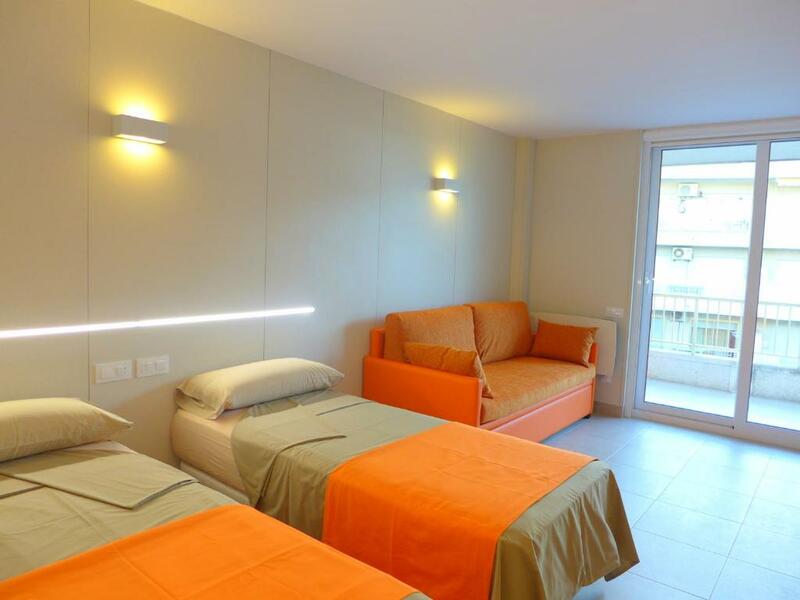 Salou Pacific Apartments are simple, functional and air-conditioned. They have seating areas with TVs and well-equipped kitchenettes with dining areas. The apartments are a 5-minute walk from Salou’s beach-front promenade, which features a range of restaurants and bars. 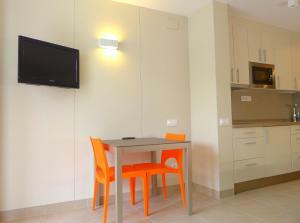 Pacific Apartments Salou is just over 2.5 mi from Port Aventura Theme Park. The historic city of Tarrgona is 20 minutes’ drive away. When would you like to stay at Salou Pacific Plus? 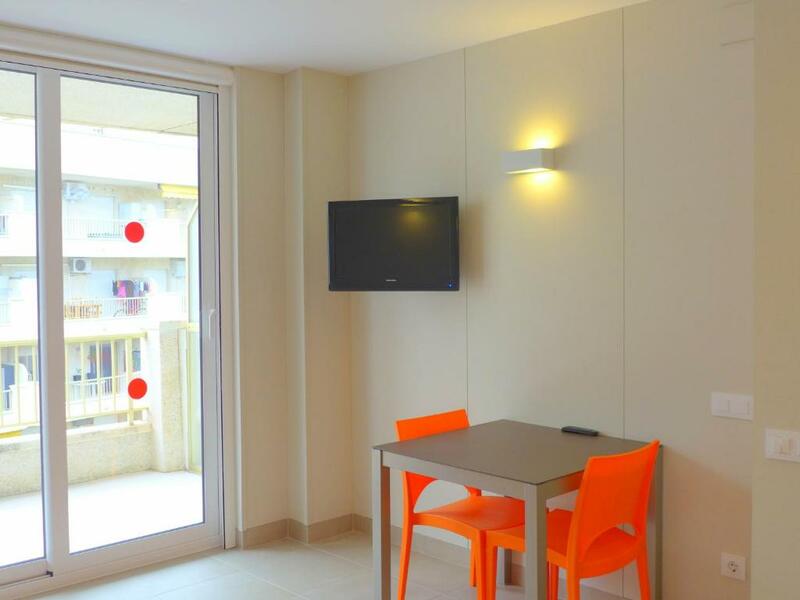 This air-conditioned and heated studio apartment features a terrace, twin bedroom and a small kitchen. There is a living room with a sofa bed, flat-screen TV and dining table. Please note that there is a refundable deposit of EUR 200, to be paid on arrival. This studio has a tile/marble floor, kitchenette and microwave. Renovated apartments with all the comforts. The Rentalmar Salou Pacific Plus apartments are comfortable and practical, located in the center of Salou and very well connected by public transport. In Rentalmar we adapt to your needs, that's why we do not charge any extra fee for cleaning, nor for arriving late to pick up the keys, nor for supplying the bed linen. In Rentalmar you can rent quality apartments at the best price and without surprises. 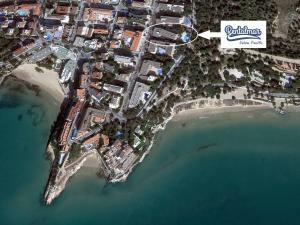 Rentalmar is the leading apartment rental agency in Costa Dorada, with more than 60 years of history. 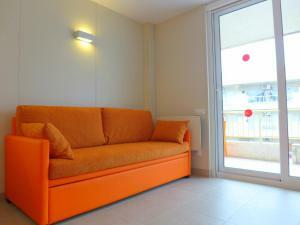 We have the best apartments for rent in Salou, Cambrils and Miami Playa. Located near the long beach and the capellans beach. House Rules Salou Pacific Plus takes special requests – add in the next step! Salou Pacific Plus accepts these cards and reserves the right to temporarily hold an amount prior to arrival. Please note, from the 15th June to 15th September reception will be open 24 hours. During the rest of the year it will be open until 20:00. Guests arriving outside reception opening hours are kindly requested to inform the hotel in advance. Contact details can be found on the booking confirmation. From November 5th until Easter, keys should be collected from the Rentalmar Reception at Navarra Street, 2, Salou. The rest of the year key collection takes place at the apartments. Please note that parties are not allowed and noise should be kept to a minimum after 23:00. Please note that guests are asked to clean their accommodations before check-out. A damage deposit of EUR 200 is required upon arrival – that's about 224.87USD. This deposit is fully refundable at check-out as long as there's been no damage to the property. There was a bit of work in the rooms around us the first few days but it was during the day and we were out most of the time, so it didn’t disturb us too much. Everything is perfect but WiFi doesn't work. Maybe because it's December. Though an older building it has been updated and provided everything that we required. Unusual smell in bathroom. Had to collect keys mile away. Everything around was shut. Early check out. Single beds. Cheap. Close to beach. Modern facilities. Clean. Nothing really bad to say at all! You don't get maid service, which some might not like but can ask reception at any time for fresh towels/bedding and toilet paper. Truth be told, we actually preferred this as it meant we could eat in the apartment or put our baby to sleep uninterrupted. Very very noisy both from the hotel across the road which had entertainment blaring til midnight and next door neighbours. The room could of been a lot cleaner on arrival. Did not agree with taking rubbish on last day over the road to bin.